WD has introduced a new MyCloud storage device called MyCloud home, available with both single and dual drives in capacities up to 16TB. The new MyCloud, which has a more angular design than previous generations - is designed to make it as easy as possible to back up all your stuff. Everything is controlled from a mobile app, which auto-detects the drive on your network (the MyCloud plugs into your router). As well as being your gateway to everything stored on the MyCloud, the app also backs up the contents of your phone. You can also choose to back up your Facebook photos (stuff you've uploaded plus photos you're tagged in) or a cloud storage service - Dropbox, Google Drive or Box. Naturally it'll also back up your PC or Mac as well (choose select folders should you wish), while you can plug in other drives via USB to back them up as well. And you can play back media on a network-connected TV or another connected device. You can use Plex for this - the MyCloud supports selected third-party apps including Plex and IFTTT. As with other NAS devices, you can have multiple users with their own private space to manage with control over what they access and share. 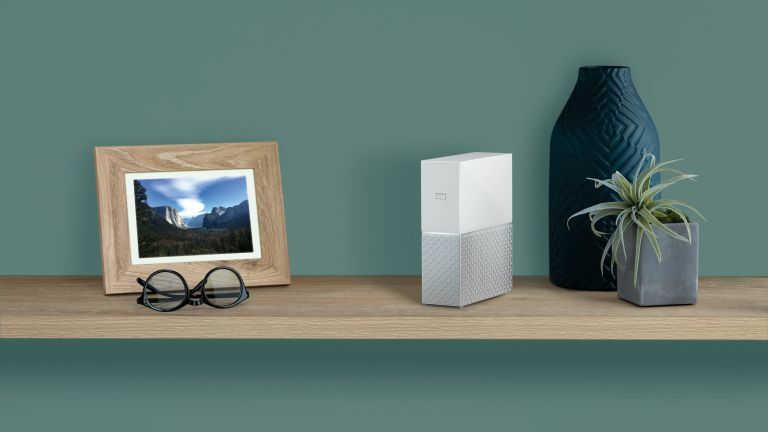 If you buy a dual drive unit - known as My Cloud Home Duo - the device is set to Mirror Mode (RAID 1) by default so your stuff will automatically be duplicated onto the second drive in case one fails. The range starts at £160 for 2TB, while you'll pay £660 for the top-end model. 4, 6, 8 and 12TB versions will also hit stores.